Granny’s trees were old, far older than she was in her 73 years. The trees produced a lot of apples that year, and there were so many mushy, old, rotting apples that I had to mow over. Instead of SuperSoaker shots I got blasted by fermenting sour applesauce and sprays of random chunks processed haphazardly by my blade. You never picked up an apple off the ground. 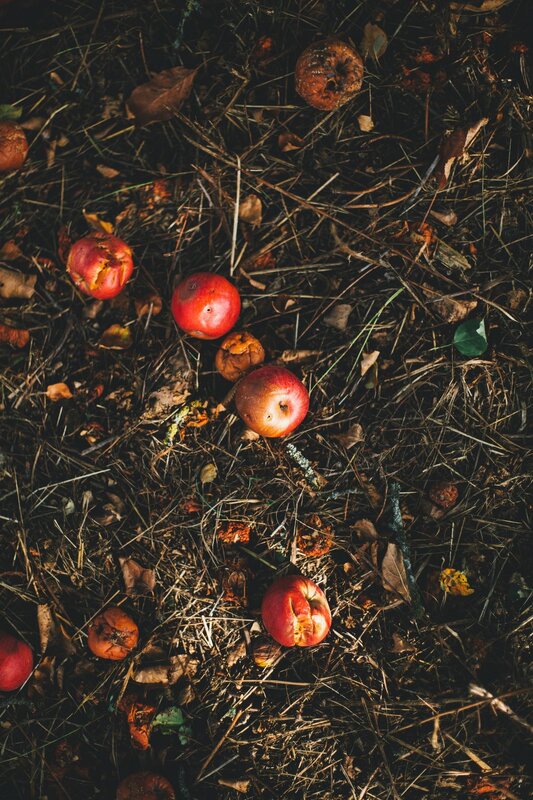 It was like the five-second rule for nature but instead of germs you got apples all covered in the crematory ashes. Next I got taken to an allergy specialist. If the bronchitis wouldn’t go away on its own, surely something else is wrong that’s causing it, the doctors all said. My breathing must have been as bad as that 40-year-old smoker’s lungs I stole when I was born…. This is not your mommy’s “Friends” or “Full House,” Not unless you inject those with racists and thieves, religious fanatics and the biggest horror of them all, the US foster care system…. I was drinking codeine long before Lil’ Wayne. I was seven when I first started sipping the sizzurp. The problem was my bronchitis. I coughed too much, too loud, too long at night. Aunt, “You will call me Mom now,” (but I always called her Aunt, or rather Ain’t, anyway) told the doctors she wouldn’t leave without it. I promised you fiction and that is exactly what I will give you. I was drinking codeine long before Lil’ Wayne. I was seven when I first started sipping the sizzurp. The problem was my bronchitis. I coughed too much, too loud, too long at night. The fat aunt, “You will call me Mom now,” told the doctors she wouldn’t leave without it. A prescription of codeine cough syrup was the only thing that would keep me asleep at night, allowing her to sleep so she could go to work. After listening to the a.m. broadcast of the funeral announcements from the night before to see who died….